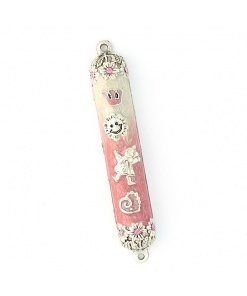 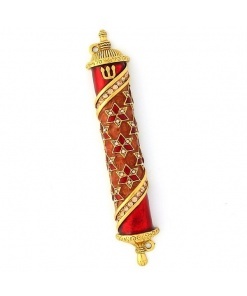 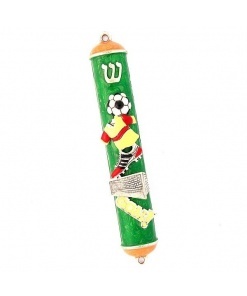 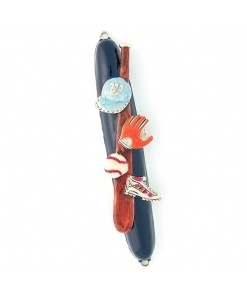 The making of this Hadar Small Mezuzah case is routed in the philosophy of capturing the colors, atmosphere,personality, shapes, culture and traditions of Israel. 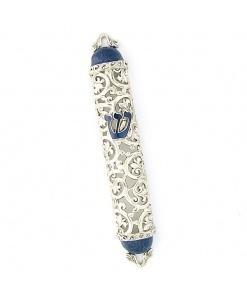 All materials used in themaking of this Mezuzah case are strictly from local Israeli sources at it istherefore 100 % made in Israel. 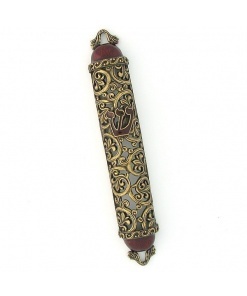 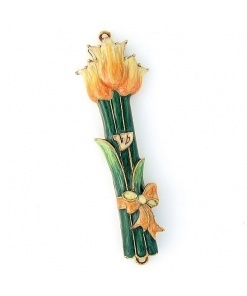 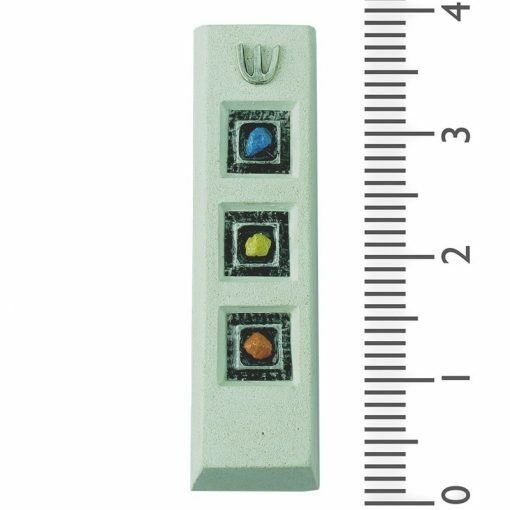 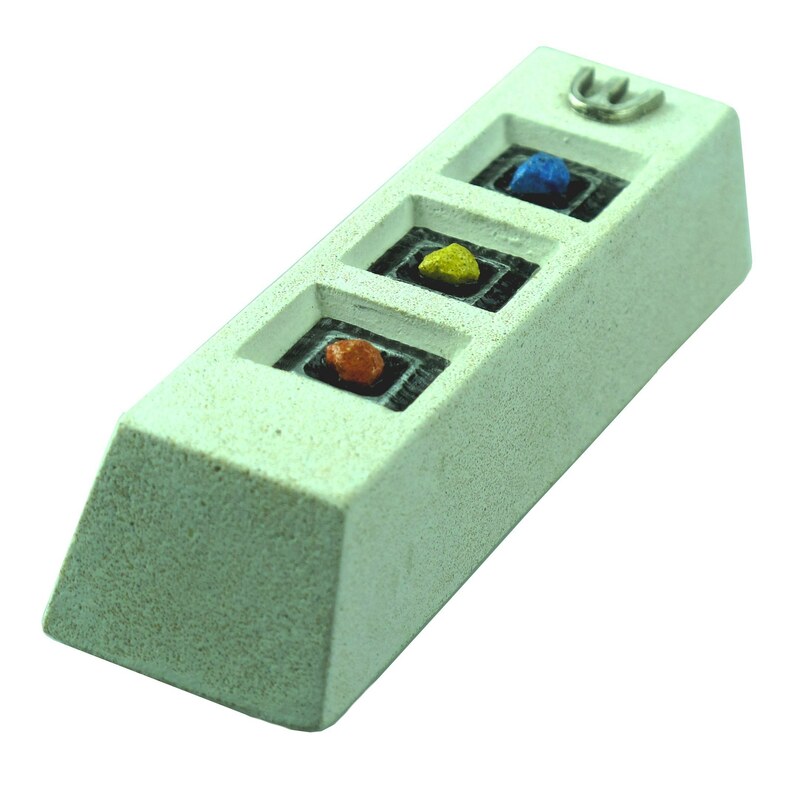 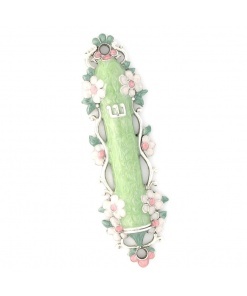 This Mezuzah is made with composition caststone which serves as the base for inlays of copper or silver colored metal andcolored stones. 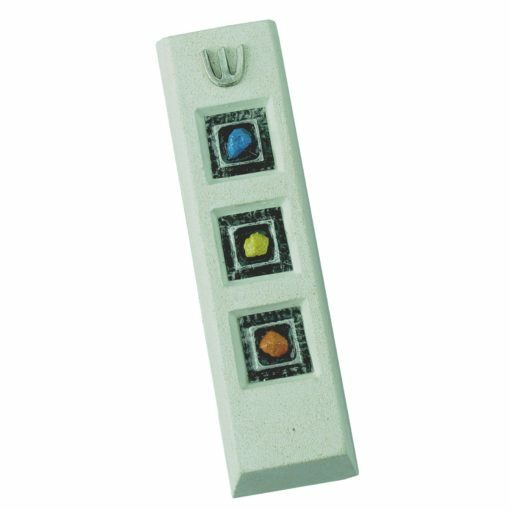 Allthe work is meticulously hand done, from mixing the original cast stone toinlaying each colored stone (some of the stones are no bigger than 1 mm!). 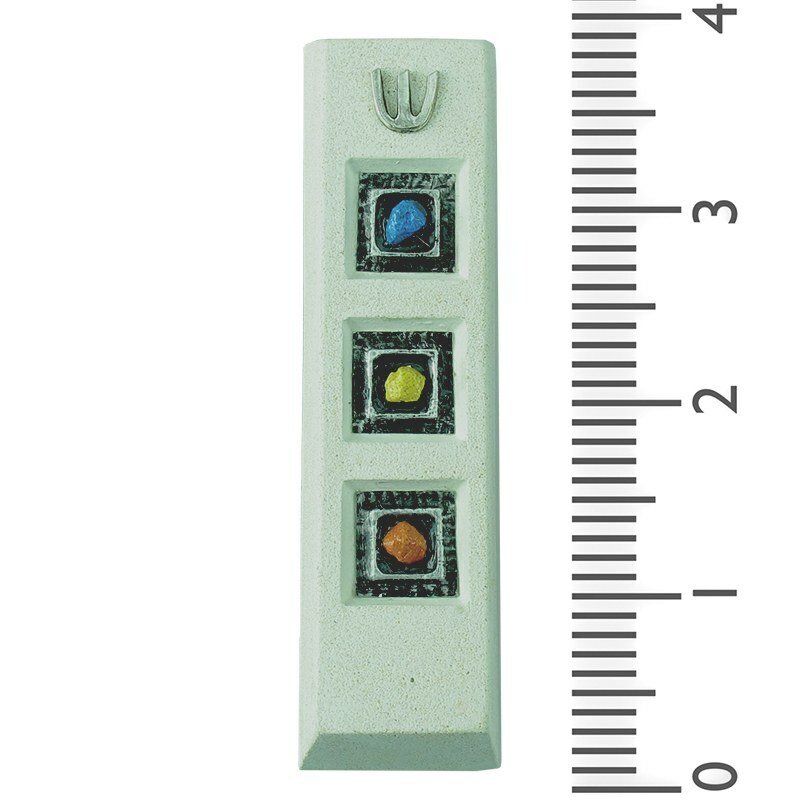 Before any product makes it to the shelf, it is thoroughly examined todetermine if the quality meets up to our high quality standards.